Tasmanian Devil Reintroduction on Mainland Australia - Ethical??? Posted on behalf of the National Dingo Preservation and Recovery Program Inc.
A recent academic publication explores the prospects of reintroducing the threatened Tasmanian Devil into forested south eastern Australia as a way of restoring ecosystems. Two important environmental objectives are considered in putting this forward: increasing the survival prospects of the devil itself which is currently threatened in Tasmania, and restoring ecosystems through the re-introduction of a top-order predator role in areas where the dingo (which currently performs this role) has been ‘extirpated’. Read more about Tasmanian Devil Reintroduction on Mainland Australia - Ethical??? Labor MP David Bradbury must correct error riddled conservation funding announcement (NSW), says Geoff Brown, Stable Population Party candidate. Mr Brown, who is a New South Wales natural conservation activist, has long fought to retain Cumberland plain woodland against attempts by governments to allow it to be destroyed for massive suburban developments. He believes now that the ALP has tried to take credit for his concept of the Cumberland Conservation Corridor. Geoff is running as a candidate for the Stable Population Party. O'Farrell gunning down democracy. Electricity privatisation continues to cause bizarre consequences as yet another State Premier will apparently do anything to push it through, despite almost total lack of electoral support. See our history of attempts to privatise electricity in NSW. It reads like a war on democracy. Now that war is against the State's wildlife. During his first week in government, the NSW Premier, Barry O`Farrell, made a strong promise to environment groups and the people of NSW that he would not allow shooting in National Parks. Now he has done a deal with the Shooters and Fishers Party so that they will support his electricity privatisation bill. Shame on Barry, Shame on the Shooters and Fishers who many see as just another front for the Libs in NSW, posing as another party. You hear people like Rob Adams and Marcus Spiller saying there is nothing you can do about population growth in Victoria and Australia. Wrong. For a start the government should cancel the Live in Victoria website that invites people to come to Victoria and which explains how to get a visa. There is one in every state (Qld, NSW, the ACT, Tasmania, SA, WA, NT). They should all be pulled off the web. Pop Poll Results now available: 66% against further growth. Australia's abysmal wetland conservation record. Australia was one of the first countries to sign the Ramsar Convention and designated the world's first Wetland of International importance. A report from the previous government says Australia has 65 wetlands of world significance listed under the Ramsar treaty, but water management requirements of only 11 sites are known in any detail. Roughly half of Australia's Ramsar wetlands are not adequately mapped, and information is so disorganised. A member of the Ramsar task force says the lower lakes of the drought-hit Murray could be delisted along with the Coorong. Read more about Australia's abysmal wetland conservation record. The Cove exposes Japan's obscene dolphin massacre. But Taiji, located 150 kilometres south of Osaka on the Pacific Ocean, has a town with a terrible secret. 23,000 dolphins and porpoises are killed annually in an inlet and sold to unsuspecting Japanese consumers as toxin-free Antarctic whales. Read more about The Cove exposes Japan's obscene dolphin massacre. The NSW Government 'State Plan' to which all of NSW Government policy hinges, reflects a fettish for short term economic stimulation. To the incumbent Premier Rees, 'jobs, jobs, jobs' can only be good, irrespective of which unsustainable industry they are in, or how short term they may be. The State Plan is all about jobs at all costs. The triple bottom line has gone out the door. 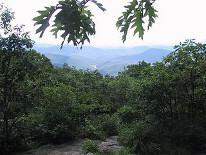 Rees' Plan ranks the environment a priority level 4 and deems native forests only valuable for exploitation and utility benefit to humans. 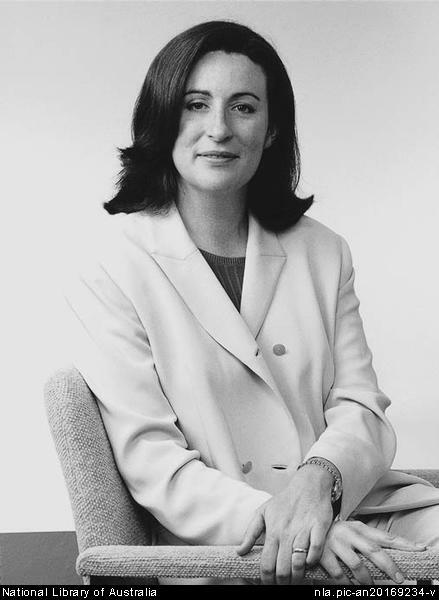 The Australian Press Council has just dismissed a complaint against Sydney Morning Herald columnist Miranda Devine about her opinion article back on 12-Feb-09 ‘Green ideas must take blame for deaths.’ Devine's provocative article dogmatically accused "the power of green ideology" for poor forest management practices and as the key reason for the exacerbated scale and ferocity of the Victorian bushfires in 2009. ['Complaint against Devine dismissed, SMH, 26-Jun-09, p.5] But although provocative, Devine's 'opinion' article pales in comparison to the social implications of headline media reporting of extreme bushfire risk immediately BEFORE the bushfires! See also "Victorian Bush-fires: ABC 7.30 Report ignores facts, creates scapegoats" and "Responding to incorrect fire information by joining the debate" and "Comments on recent fire-management in bush-fire areas" and "Greens, logging, forest fires and malaria" and "Deforestation drys continents - new theory explains how"
Defence has produced pseudo-science to justify a massive kangaroo slaughter at Majura in Canberra. It is clear that the government only protects human interests and is interested in "managing" wildlife such as kangaroos out of existence, and have their habitat replaced by housing and human structures! If our governments have their way, kangaroos would be confined to sanctuaries and zoos. Maybe this is the only place our descendants will be able to see our “wildlife”. VicForests' neo-colonial practice of logging old growth East Gippsland forests attempts to justify the native culling by claiming compliance with Australia's wood production Standard AS 4708-2007. But this standard is a Mein Kampf of ecological genocide for East Gippsland Forests. Victorian foresters celebrating 'World Forestry Day' - bring your chainsaw! Who's slaughtering Australia's old growth heritage faster - Queensland roadmakers or Victorian loggers? World Forestry Day is another annual celebration of some cause that in this case captures 21st March each year. The concept sounds noble on the DSE site, but hang on a second! This is all about revenue FROM our native forests, not FOR native forests at all! So why not just rename this 'World Logging Day'? Read more about Victorian foresters celebrating 'World Forestry Day' - bring your chainsaw! On Thursday 26th March 2009, four people were charged in their efforts to save East Gippsland old growth forests from being chopped down. Is this Victorian Premier Brumby's hypocritical law of conservationists being prime facie guilty of conservation? Not all creatures can share our Australia Day pride! "To keep stable and just replace itself, a relatively young population like Australia’s would currently need something even lower than Western Europe’s rate of around 1.3 children per completed family. More like 0.93. And that’s without immigration!"